Summary in English - HJT Makelaars B.V.
HJT Makelaars is a boutique real estate agency located in the centre of Wageningen. HJTMakelaars is a member of the NVM (the Association of Dutch Real Estate Agents) and covers Wageningen and surrounding areas, such as Rhenen, Bennekom and Ede. Our team knows and loves the area and is highly qualified to help you market and sell your home as well as help you find and settle into a new home. We also conduct appraisals for tax- and property assessment purposes. Buying and selling a home can be stressful, but our professional approach, together with our high level of integrity and personal involvement will make you feel instantly at ease. For our corporate clients, we handle appraisals of commercial properties and assist with property rental and management. Our team is qualified to give you expert advice on all matters relating to residential or commercial real property. HJT Makelaars is fully certified and a member of the NVM. 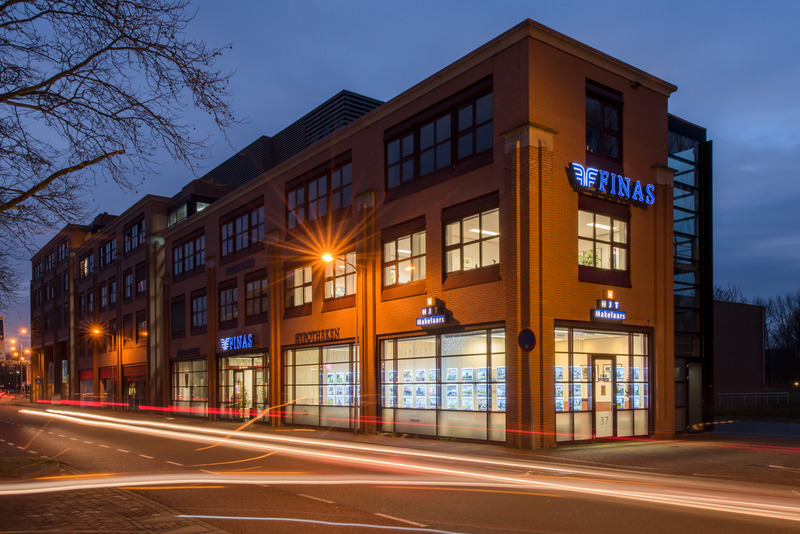 As such, all properties for sale or rent are listed on Funda, the most visited property site in the Netherlands. If you are looking to sell your home, look no further. We have years of experience and know the real estate market in this area well. Our agents are here to make sure your home is marketed at the right price so you will never sell below what the market is willing to pay. We make sure your property gets the proper exposure, physically as well as online. We provide a high level of service and our back-office staff is there to support you in any way they can. We have a clear and simple way in which we handle our sale transactions. This way you will see right away how our services are laid out and what we offer our clients. If you so desire, you can upgrade by purchasing additional services and/or products. A sale transaction usually consists of the following stages. Because every property is different and every vendor has his own unique needs, we like to meet you in person at your home or in our office to explain what we have to offer. This meeting is informal and non-binding, but gives us a first impression of your home and your needs and allows us to explore sale strategies with you. To assess the value of your property and to market your home properly, we have to do the proper research. We look at the condition of the structure(s), the specific qualities and characteristics of the home and the land and at the price that comparable properties in the area sold for. Based on this information, we will assess the value of your home (or appraisal) and make our sale recommendation and marketing plan. After the preliminary research has been completed, your home will be put on the market. We will put together an extensive brochure of your property with a detailed description of its features, detailed photos of the building(s), the rooms inside and the front and back yard as well as floor plans and a survey. A sign will be placed on your lawn as well as V-signs on the windows to give you ample street exposure. We will further make sure you are connected with our network of more than 4,000 NVM real estate agents by putting your property on Funda.nl and our own website at HJT Makelaars.nl. We will give you weekly updates on how often your property is viewed on Funda. Of course your property will also get great exposure in our window at our office location in Wageningen and through social media promotion. If you wish to give your property extra exposure, you may choose to purchase additional services and products, such as videos, 360º photos and aerial photographs. We attend all viewings personally and negotiate with potential purchasers on your behalf, of course consulting with you every step of the way. Because of the personal involvement and professional approach of our office, you can rest assured that you will get the optimal price the market is willing to pay for your property. Once we receive an offer that is conform our asking price and you decide to accept this offer, we move into the final stage of the sale, namely the drafting, finalizing and signing (by all parties) of the agreement of purchase and sale. 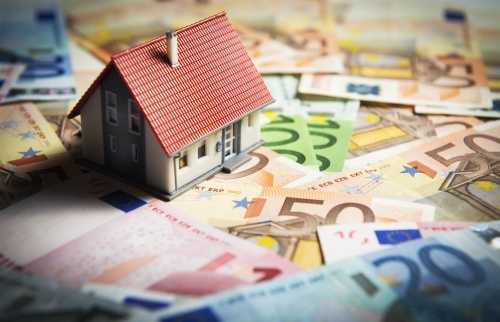 We will also check the statement of funds and the deed provided by your solicitors. Prior to closing, we will walk through the property one more time together with you and the new purchasers. And finally, we will attend with you at the solicitor's office on the day of closing when all documents are being signed. When you are selling your home, it is self-evident that you would use the services of a real estate agent. However, when you are buying a property it is often less common and yet, it is equally as important. A vendor always highlights the most favourable aspects of the property, while justifying its lesser qualities. Furthermore, the vendor is represented by an experienced real estate agent, who will always try to get the best sale price for his client. This is why it is wise to get a real estate agent to represent you and protect your interests when you are purchasing a home. After all, this is probably the biggest and most important purchase you will make in your life. By letting your agent handle and efficiently complete various matters on your behalf, you will save valuable time. You can also take advantage of his network of professionals, such as surveyors, appraisers, financial advisors, mortgage brokers, solicitors, contractors and tradesmen etc. What services do we provide a purchaser? •We will set up an appointment and go with you to view properties you are interested in. •We will conduct the preliminary inspection of the house where we look for major architectural and/or construction flaws (please note that we do not provide an official report, but would advise you to contact a building inspector if we feel there is grounds for concern). •We advise you as to the real market value of the property. •We are familiar with the real estate market and the local municipal regulations and as such can provide you with sound advice. •We determine and discuss with you the best strategy to approach and negotiate with the vendors. •We negotiate on your behalf with the vendor's real estate agent so you will always get the best possible price. •We will keep an eye out for conditions, special clauses and penalty clauses, which the vendor's agent may present. •We will check the deed and attachments and will go through them with you prior to signing. •We check the statement of funds from the solicitors. •We inspect the property together with you one last time prior to closing and go with you to the solicitor's office on the day of closing. Of course, with everything we do, we will always consult with you first and advice you every step of the way. We are here to help you find the home of your dreams for the best (and usually the lowest) possible price! All appraisals are being conducted by certified appraisers and can be done with the NWWI quality label. wide variety of services in order to advise its clients on all matters relating to real property. We genuinely value our clients and we work hard to build sincere and long lasting relationships. To make an appointment with one of our agents, call or mail us.